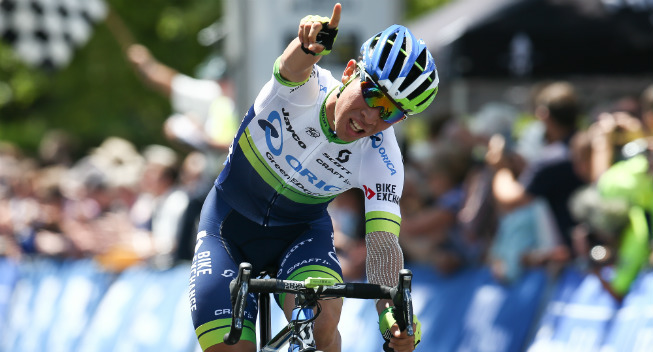 In a long interview with the Australian daily Herald Sun, Caleb Ewan (Orica - Scott) explains that he wants to make Milan-San Remo and the Giro d'Italia his big goals for 2017. But for now the only confirmed facts are that he will participate in the Mitchelton Bay Cycling Classic and the Tour Down Under where he won two stages last year. Ewan is not made his schedule yet. He has never done Milan-San Remo but the biggest problem for the sprinter is the ever increasing ambition of his team Orica - Scott for the GCs. With Esteban Chaves, Adam and Simon Yates for the grand tours, there won't be much room for a sprinter. The team has always had an eye on the fast finishers but as the Colombian and Brits continue to shine, there will less toom. In 2016 Chaves finished second in the Giro and third in La Vuelta, while Adam Yates finished just off the podium atthe Tour de France. Ewan did the Giro in 2016 and his best result was a second place on the eve of his abandonment. Michael Matthews' departure to Sunweb - Giant reinforces his status, but the young Australian has not yet fully demonstrated his ability to win in WorldTour races even though he won the Hamburg Cyclassics at the end of the year. The good news for him is that he should be able to rely on the recruitment of Roger Kluge for the lead-out.